Sameer joined Watsi on March 11th, 2015. Four years ago, Sameer became the 1004th member to automatically support a new Watsi patient every month. Since then, 4,102 more people have become monthly donors! 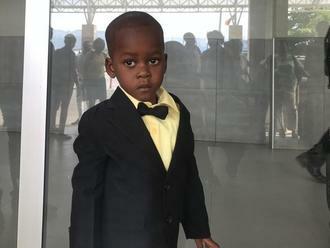 Sameer's most recent donation traveled 1,900 miles to support Roodolph, a toddler from Haiti, to fund prep for cardiac surgery. Sameer has funded healthcare for 53 patients in 11 countries. Tanica is a student from Haiti. She lives in Port-au-Prince with her parents and three siblings. She is in the third grade and likes reading and art. Tanica has a cardiac condition called atrial septal defect. A hole exists between the two upper chambers of her heart. On October 10, she will undergo cardiac surgery at St. Damien Hospital, our medical partner's care center. During surgery, surgeons will use a patch to close the hole in her heart. Another organization, Gift of Life International, is contributing $5,000 to pay for surgery. Tanica's family also needs help to fund the costs of surgery prep. The $1,500 requested by our medical partner, Haiti Cardiac Alliance, covers cardiac exams and medications. Her mother says, "We would like to say thank you to everyone who is making this surgery possible for our daughter!"